Testing is one of the most resource-intensive activities in software development and consumes between 30 and 50% of total development costs according to many studies. Testing is however often not organized to maximize business value and not aligned with a project’s mission. 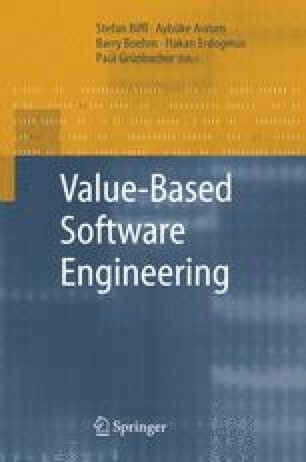 Path, branch, instruction, mutation, scenario, or requirement testing usually treat all aspects of software as equally important, while in practice 80% of the value often comes from 20% of the software. In order to maximize the return of investment gained from software testing, the management of testing needs to maximize its value contribution. In this chapter we motivate the need for value-based testing, describe practices supporting the management of value-based testing, outline a framework for value-based test management, and illustrate the framework with an example.